Congratulations again for being the number one agent in all three of the Santa Monica offices for the fifth year in a row! Your track record is unsurpassed, which comes as no surprise to us in the upper management of Coldwell Banker. What makes you different is your passion and desire to put your client’s needs first. You show that, transaction after transaction. You are humble in your approach and are always open minded and willing to “see another way”. Your negotiating skills set you apart and put you in a very special class of your own. Your success is well deserved. Thank you for writing your feature articles which we often use when training other agents. Giving back to the industry is something that very few agents do. Continued success and the very best as we slide into the New Year. Congratulations on another good year! Over the years, Ron has focused his attention on building relationships for life. Solid relationships are built one step at a time from the foundation up. There is no shortcut. Relationships are the essence of what the business of real estate is all about. Building relationships is about taking care of others while establishing a comfortable, reliable, and trusting foundation from which to build. 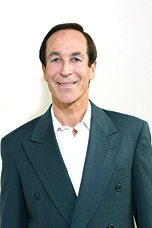 Together, Ron and his clients are a team, striving to accomplish their desired outcome. When it comes to their real estate transactions, Ron’s clients know he puts their needs ahead of his own and that he genuinely cares about the successful outcome of their transaction. His passion is to help them achieve their goals, and therefore make their lives more meaningful and satisfying. Relationships are finely woven over time, committed to honesty and support on both sides. The ingredient that has made these relationships so meaningful to Ron is the loyalty shared between him and his clients. Ron’s clients are loyal to him, and he is loyal to them in many areas, including in the areas of privacy and confidentiality. Ron has had the privilege of representing his clients over and again, and to represent their best friends and family members as well. In several instances, Ron has not only represented his client’s children, but also their grandchildren. A referral is the greatest gift a real estate agent can receive. Ron is genuinely grateful for the many, many referrals he has received throughout his career. Ron’s clients are his friends, and his friends are his clients. He is proud and appreciative to say that life lasting relationships are the secret to his success.